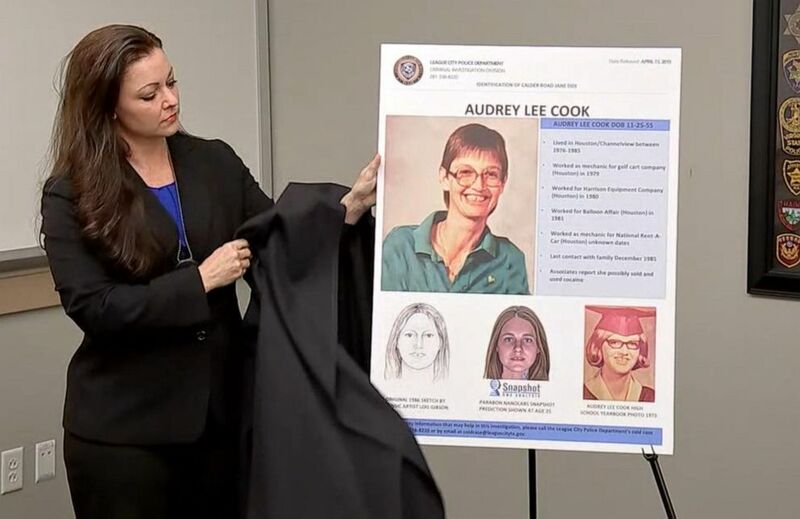 Investigators in Texas have identified the remains of two women in a decades-long cold case by using genetic genealogy . The first body was found on April 6, 1984, when the family dog of Heidi Frye brought her skeletal remains to her home on Ervin Street in League City, Texas, League City Police Chief Gary Ratliff told reporters at a news conference Monday. Frye had been reported missing on Oct. 10, 1983, when she was 25 years old. The rest of her remains were located in a wooded area near the home, Ratliff said. The second body was found on Feb. 2, 1986, by two juveniles who were riding bikes in the same area where Frye's body was discovered on Calder Road, Ratliff said. As investigators processed the scene, another body was found in close proximity but they were in "vastly different stages of decomposition," Ratliff said. 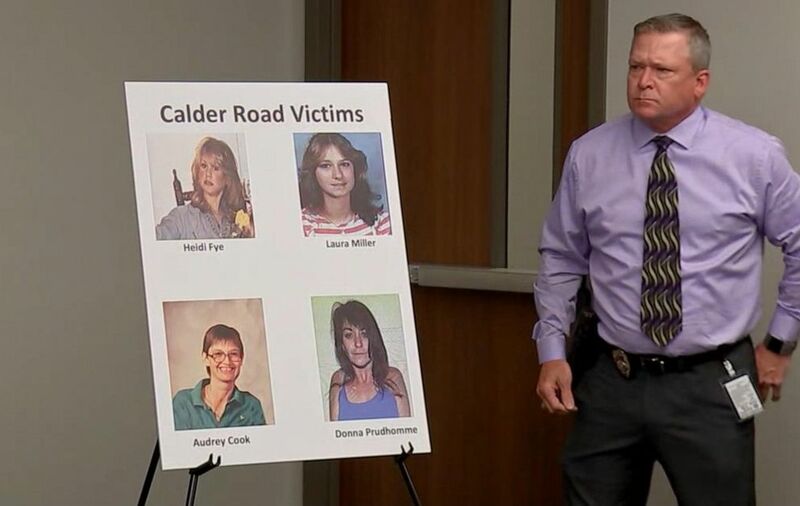 The murders of four women in League City, Texas, are known locally as "The Calder Road Murders" or "The Killing Fields." Investigators in Texas identified a body found on Calder Road in League City on Feb. 2, 1986 as Audrey Lee Cook, who was believed to be about 30 years old at the time of her death. 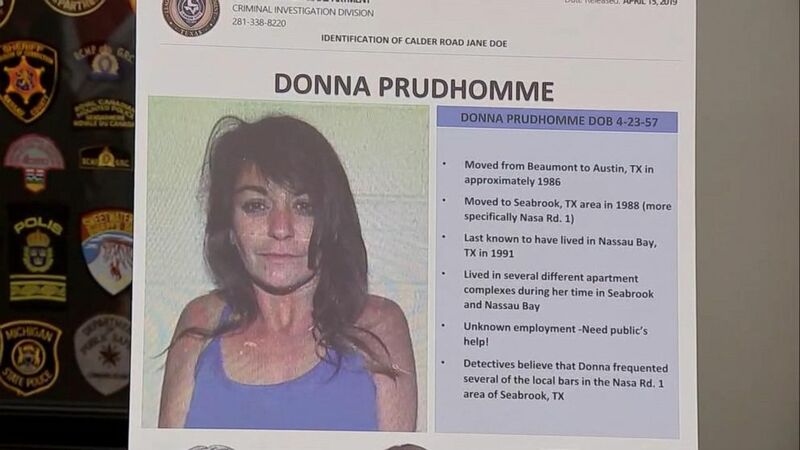 Investigators in Texas identified a body found on an oil field nera Calder Road in League City on Sept. 8, 1991 as Donna Prudhomme, who was believed to be about 34 years old at the time of her death. 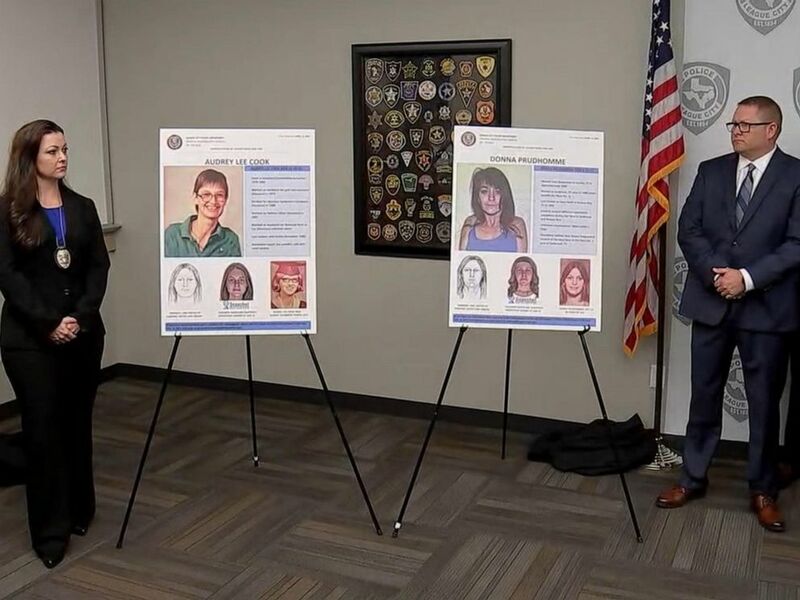 Police investigators announced the identification of two women whose bodies were found decades ago in League City, Texas, in a press conference on April 15, 2019.